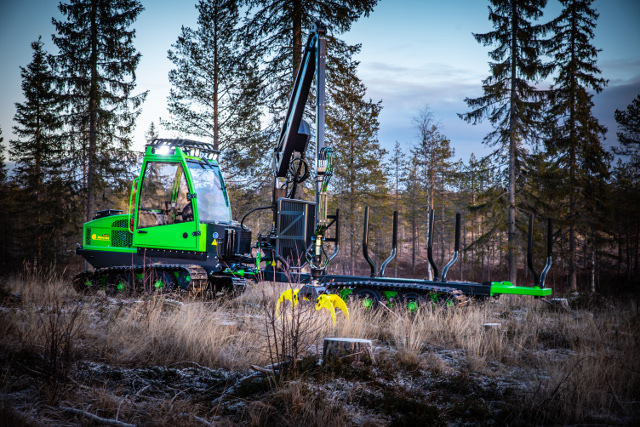 Jarcrac machines are perfect for use in young forests all around the year. The specially designed tracks don’t damage the soil or the roots of the trees. Thanks to the new bogie structure and the high ground clearance, even more capable than the earlier series, especially in difficult terrain conditions. 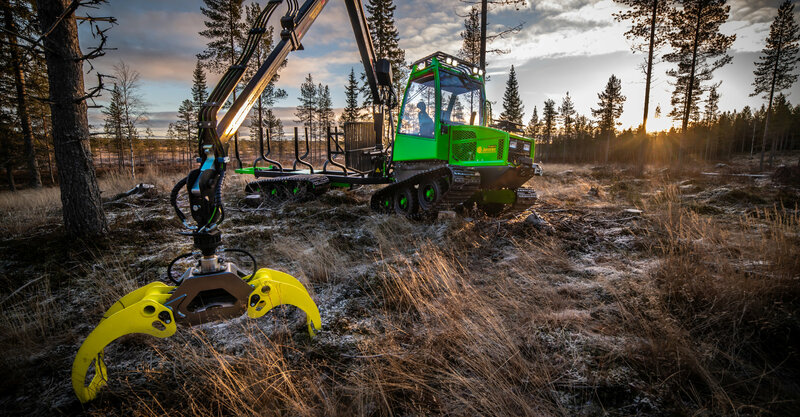 The chassis construction and the shape of the tracks enable difficult obstacles, such as deep ditches. The benefits of the new construction are particularly evident on soft terrains. On the other hand, the newly designed tracks with metal shoes are wear resistant and enable driving in hard or even stony terrain. The Jarcrac Evopro and Dual models are based on the same basic design. 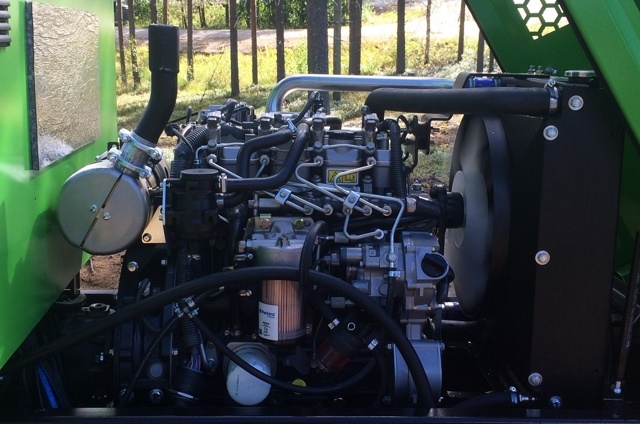 The machine is powered by a Perkins common rail diesel engine that fulfils the latest emission directives. More than 4 meters long load space, provided with four removals stokes in each side, and a extra part to lengthen the load space make of the new Jarcrac models a versatile machine not only for harvesting (Dual) but for forwarding too. Evopro is equipped with a Kesla 202T crane and Walvoil steering hydraulics. The working pump in Dual is proportionately larger for a greater oil demand of the harvester head. Nisula 325H is provided with a basic Dual but other models are also possible e.g. AM300 or Keto Forst. Magnapro is an 8-wheel version of the machine. Wheel size is 400/60 - 15.50 or optionally 500/60 - 15.50. Tracks and chains are available for the Magnapro as an option. The cabin of the new Jarcrac models has a completely new design. All windows are larger than before, and the curved rear window enables seeing tree tops during harvesting. 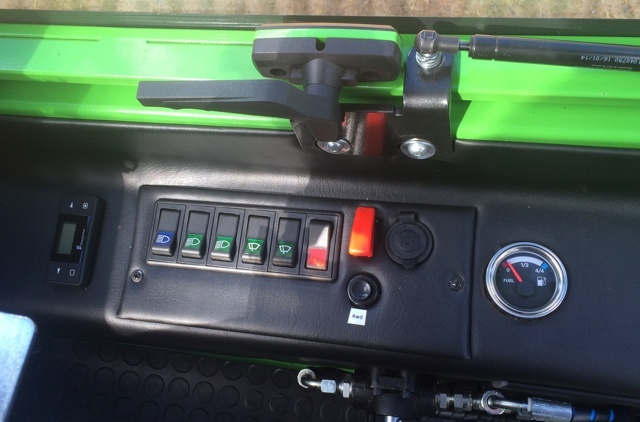 The cabin is now better protected against shocks, noise and temperature variations, and features a tipping mechanism for easier service operations underneath the cabin. Advance and acceleration pedals of the have been eliminated and replaced by an extra function of the joystick. 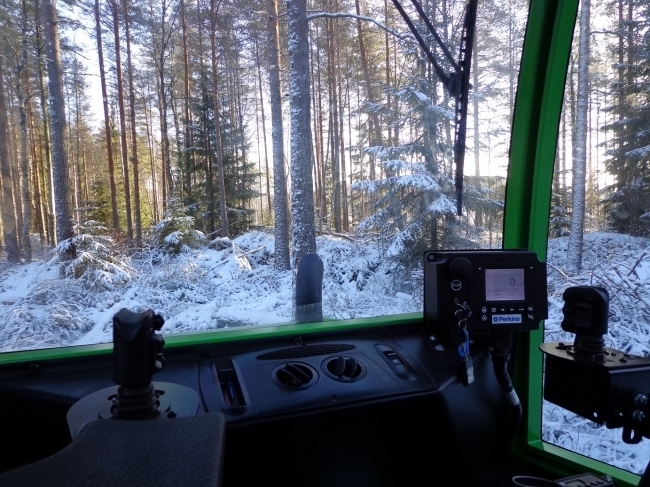 The cabin is ROPS, OPS and FOPS tested which means that it protects the driver in the case of a rollover ( ROPS ), from an falling object (FOPS) and from an object that is entering the driver’s area from any direction (OPS). Jarcrac can be equipped with several optional accessories, for instance 4 track locks, a diesel fueled additional heater and air conditioning. Evopro can be equipped with more powerful pump if harvesting head is about to be used. Crane control can be upgraded with joysticks. Track materials: Reinforced rubber, with steel shoes.